You will probably agree with us when we say that London is a big city and like most tourists you are probably searching for a start point for your holidays. Our recommendation is of course to start at Victoria Street Station. If you don’t know, the station is located near the most important British landmarks such as Westminster, Buckingham Palaces or St Peter’s Church. Here you have also a transportation hub for both railway, tube and coach station, making it easy for you to reach the location. Victoria Street is also a place to do shopping and enjoy a great meal with your friends. Here you also have affordable accommodations with prices starting from £20. If you find yourself in the area do not forget to visit the Big Ben, Green Park and of course shop at The Harrods. If you are landing at Luton airport and are in need of a Luton to Victoria Station transfer service, you can always count on 247 Luton Airport Transfer. There is a number of reasons for which you can choose a transfer service. Not only that a transfer service is more comfortable but also it is the most secure. Our service will always bring value for money, with free services included and a 92% customer satisfaction rate you will surely receive a reliable service. Meet and greet services – we pick you up from Costa Coffee with a name board and of course a smile. Professional staff and 24/7 customer support service. There are a couple of easy ways in which you can book a Luton to Victoria Station transfer service with us. 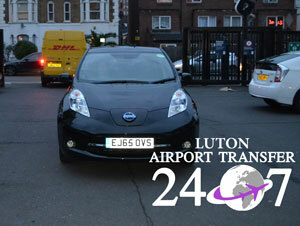 Of course 247 Luton Airport Transfer provides an online booking system that is very intuitive. The system will provide instant quotes for your journeys and also booking confirmation with booking reference number and emails with the details of the journey. Nevertheless, if you are in hurry you can always book or find more details via our operators that can be contacted via mail or phone according to the details in the Contact section of the website. So what are you waiting for, start planning your trip and let us take care of you, your loved ones and of course your luggage. We will drive you safely to Victoria Station or your hotel..